Welcome to the Labor of Love Halloween Hop Day 3! A group of talented ladies made Halloween banners that will be donated to the special needs children who reside at Pediatric Specialty Care in Point Pleasant (Bucks County). If you want to start this blog hop from the beginning please check out Ellen's blog over at Card Monkey to see all the details about it. For my banner I used Karber Halloween Digital Stamps. Click on the image to enlarge, please. How cute it this and your up and running like me... thats also an added plus!!! This banner is adorable your digis are super cute. I love the eyes. Berenice, your digis are very nice to work with! I enjoy how these are featured and made into the beautiful banner!! 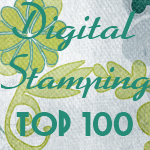 Great banner and adore your digi stamps! Thank you for participating and sponsoring this hop and most of all the children! Blessings to you! Great job on your banner! Its SO CUTE! I am really excited to see all of the hard work that went into this hop! THanks for sharing your banner, and you have a new follower in me! What a great job and "What a good GHOUL you are for sponsoring the Labor of Love Halloween Hop, happening today." GREAT IDEA ELLEN & MADISON had to join so much talent. Your banner is amazing. I have become a follower and have enjoyed blog hopping with you for a fabulous cause. "What a good GHOUL you are for sponsoring the Labor of Love Halloween Hop, happening today. Wow fabulous banner!!!!! Awesome job!!!!! What a good GHOUL you are for sponsoring the Labor of Love Halloween Hop, happening today." Very cute Halloween banner, i love the vampires. Nice banner and very cute digis :D Thank You for sponsoring in this hop! Those digi images are so adoraable! Great Banner!!! Thank You for being a sponsor. Your banner is super adorable! Your images are super cute!! I just with I really knew how to use them. I see so many great projects with them!! I love these digis! They are so darned cute!! I like that you banner is different..Great job! "What a good GOUHL you are for sponsoring the Labor of Love Halloween Hop, happening today." So cute! Those digis are a fantastic pick for the kids! Such a cute banner. I'm stopping in today for day 3 of the Labor of Love Blog Hop. Each one of these banners is adorable in it's own way. Everyone is soooo different.Great job on this. The kids and their families are going to really love these. Also you are such a good ghoul for sponsoring our labor of love blog hop. What a great banner! The digis are so cute and I love the colors and the ribbon. TFS. Darling banner. The kids will love it. Thanks for being a sponsor for this and for Susan's Birthday Blog Hop!! Great digis for the banner. Adorable images on your cute banner! ah, so cute. love all of the little trick or treaters. so adorable.. each trick or treater in his/her lil costume!! love it!! ADORABLE!! I love your banner and the images are fabulous!! for day four of the Labor of Love blog Hop, I love the banner that you made and I just know that the children of PSC of Bucks will just love the banners everyone made too. What an adorable banner. Your digi stamps are just so cute. Thank you so much for sponsoring the hop for us:) You ROCK!!! This is adorable... I love it!!! The images are spookalicious! Thanks for sponsoring too!